There is no other system out there like ours. 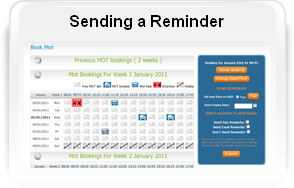 You will receive your own personal booking calendar where you can make, edit or delete bookings online 24/7 from any computer. 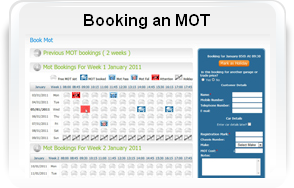 We send an e-mail reminder to your customer 3 weeks before their MOT is due so they don’t forget. 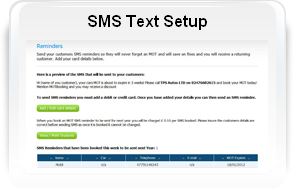 We send a personalised SMS text reminder from your company, 3 weeks before your customers MOT is about to expire so you don’t lose a customer and they don’t forget about their MOT. 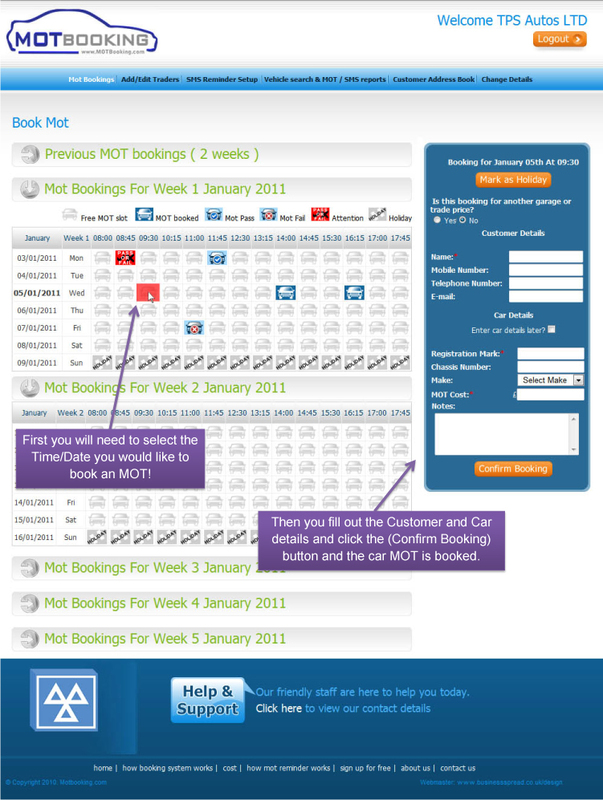 Our friendly staff are here to help you today.